When we look at some of the most important values as defined by God, what do we find? They include self-control/discipline, humility/lowliness of self, and good stewardship which leads to generosity of our resources. This set of scriptures hits hard and calls for some self-examination. When we align our values with God how do you measure up? Are you defined by your impulsiveness? Quick to speak and slow to listen, careless in your personal prayer life and Bible time, are you on a constant quest to fill your cravings with what the world has to offer. How much of your time and resources are dedicated to quelling our personal desires. Is the lack of balance a common symptom in your life. Strike One!? Do you justify your own selfishness by your sense of entitlement? Does your schedule have a greater priority than your service to God? Do you spend all of your time at work to feed your need for accolades? Has your family/children taken a back seat because their expectations and needs do nothing to elevate your sense of self? Whenever we come to the point that our own personal comfort outweighs the needs of others, we have forgotten what Jesus came to teach. Strike Two!? Have your hobbies become more of an occupation? Does tithing consist of the few odd coins that you place in the basket as the plate comes around on Sunday morning? Does your the accumulation of material things fill you more readily than knowing how missionary support impacts the needy. Do you find yourself seated in a casino with little regard for how your family bills will be paid? Strike Three!? If you struck out, take a moment as we approach the upcoming Resurrection Day. 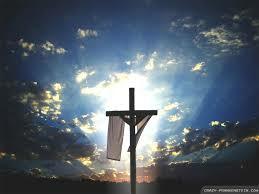 Easter is the day that we celebrate the risen Christ. He is alive and so is His word. Jesus came to this earth to teach his Father’s values. However he did so much more than just teach, he demonstrated. Just because you struck out does not mean that the game is over. Don’t pout on the bench because you didn’t measure up! Jesus understands your failings, yet he still wants you in the game. He is very much alive and gave his all…for you! Let this Easter be your resurrection as you remove your death garments and let him lay on your shoulders the garment of righteousness. The world can have the world. You can have so much more. Be blessed this upcoming Easter and always!